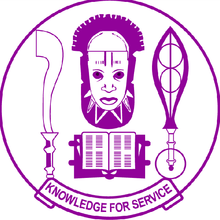 University of Benin, UNIBEN Centre of Excellence in Reproductive Health Innovation (CERHI) Postgraduate Admission Form, Courses, Admission Requirements, Application Guidelines for 2017/2018 Academic Session. Applications are hereby invited from suitably qualified candidates into the MSc and PhD programmes in Reproductive Health offered under the auspices of the Centre of Excellence in Reproductive Health Innovation (CERHI) in the Departments of Obstetrics and Gynecology, Nursing Sciences, Community Health and Health Economics at the University of Benin. The University of Benin is a first generation federally-funded University in South-South Nigeria, established in 1971. CERHI is a World Bank-supported project at the University of Benin whose mission is to implement high quality training and applied research for professionals needed to build a new cohort of human resource to tackle the population and reproductive health challenges in the African region. The program which commenced in 2016, has acquired some of the most up-to-date pedagogical, research and laboratory facilities that compete favorably with some of the best in any part of the World, and has graduated its first set of students. The program particularly invites applications from students in other African countries, as CERHI has excellent training facilities that will meet their needs, including a fully air-conditioned international students’ hostel complete with 24-hours internet access and a wonderful receptivity by the University community throughout their stay. Modern Library, Online Resources and High Speed Internet: Successful applicants will also have at their disposal a state of the art library space equipped with computers, books and journals as well as world class online resources which can be accessed with our high speed internet available to every student.